Red Devils in Wembley rematch. The Salford Red Devils travel to Castleford on Saturday for the highly anticipated Ladbrokes Challenge Cup clash with the Tigers, a familiar Super League opposition. The game is a rematch of Salford’s last visit to Wembley in 1969, when Brian Snape’s side fell to a 11-6 defeat in a nail biting match in front of 97,000 people at the old Wembley Stadium. Salford were captained that day by club legend David Watkins, who remains the clubs record point scorer, totaling an impressive 2907 points in 407 games, as well as winning 22 caps for Wales and Great Britain. The club has appeared in 3 Challenge Cup finals at Wembley, winning the famous competition for the first time in 1938, beating Barrow 7-4. The ‘Wembley cabinet’ in the Salford Red Devils Foundation Museum celebrates the clubs Challenge Cup history, housing a replica of the trophy and the shirt worn by Chris Hesketh in the 1969 final. 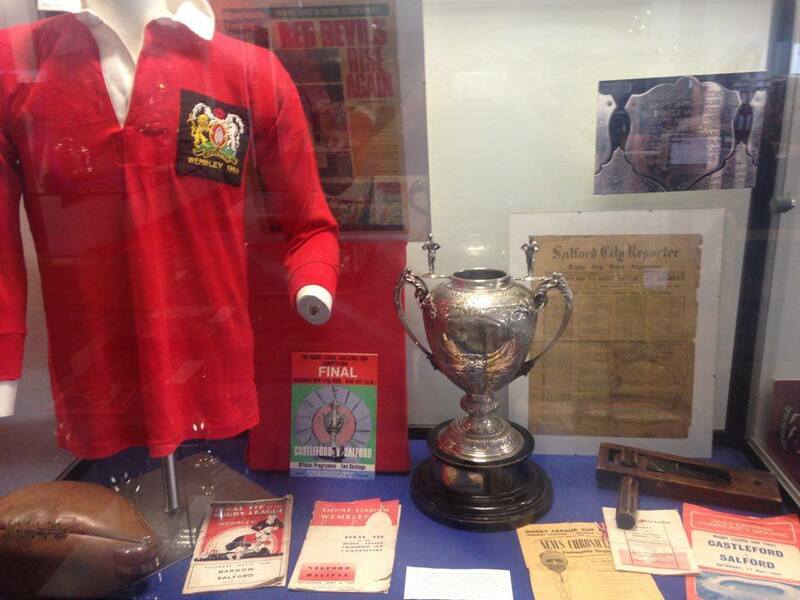 The Red Devils Museum is home to a large number of pieces of the clubs rich history including memories from Wembley, The Willows and the background of the Lance Todd Trophy, which was named after the famous Salford coach.